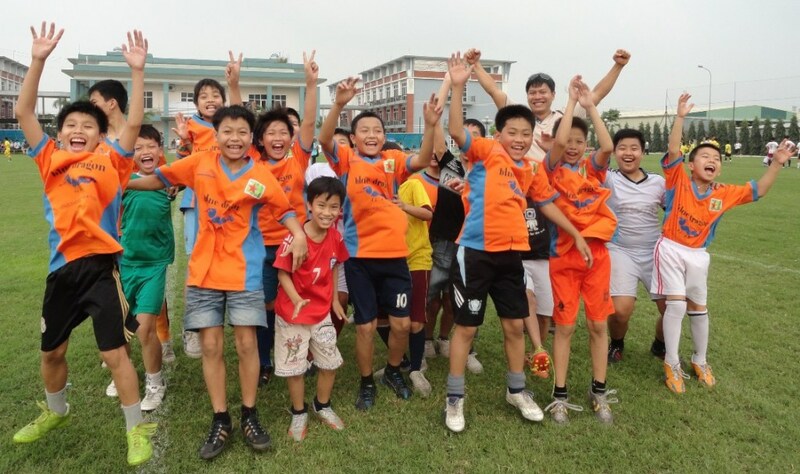 Since 2003, the Blue Dragon Children’s Foundation has helped Hanoi’s street children. They originally provided shelter and protection to children who had no one else to care for them. Since their inception, they have made a powerful difference to thousands of lives: homeless kids, young people with disabilities and victims of human trafficking. Blue Dragon’s main aim is to get children into school and keep them there with the view to improving their employment prospects and long-term goals. Out-of-school tuition is provided to help children study. Books and stationary are given to those who can’t afford them. Medical care is paid for in some extreme cases where it can save the life or lifestyle of a child. Child trafficking is a major issue in south east Asia, and Blue Dragon now tackles this as a permanent part of its mission. Staff members work on locating and rescuing child laborers who have been bought, traded or kidnapped by traffickers. The Vandermark Foundation has worked with Blue Dragon for the past five years and we have been amazed at how their services have grown both in the range of services and the number of children being helped. In a recent visit members of our Board were impressed by the staff and, of course, the children. Blue Dragon has made amazing progress in rescuing trafficked children and has rescued more than 600 children. Make a donation to Blue Dragon Children’s Foundation or to learn more about their work.